Profession: Former Special Operation soldier, currently working as a temporary ranch hand at True Horizon Ranch. Relationship Status: Single (though his heart is hung up on Grace). Hobbies: Working on his Harley Davidson motorcycle, taking care of the Longhorn cattle on the ranch, winning at cards and potato sack races against Grace. Things he finds unenjoyable: Horseback riding, flashbacks of his time in the service, and seeing Grace with her fiance. Dreams for his future: Heath has no dreams of the future until he arrives at True Horizon and meets Grace. Through the healing power of nature and falling in love, he starts thinking his future isn’t as dark as he once believed. Sometimes, we don’t know what we don’t know. Sounds kind of confusing, right? But it’s not until we really start immersing ourselves in a particular subject of interest, that we find out how clueless we’ve been all along. That was me when it came to becoming a professional writer. I was well aware that I had no idea how one went about getting professionally published, so I spent hours on-line reading articles on the subject. After that research, I was pretty confident that I had it all figured out. I was amazed to find a wonderful, supportive, and diverse group of writers and publishing professionals who are very active in the Twitterverse. I have learned so much by following writers and Literary Agents. 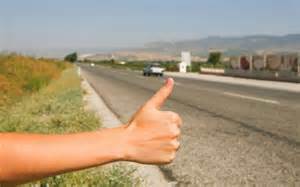 I’m a true hitchhiker, riding along for free on the knowledge they share. Everyday, I’m learning something new, and its all thanks to ordinary people who take the time to share their insights with the rest of us. My favorite posts are from Lit Agents who take ten anonymous query letters and give a short Twitter critique. I find these posts generally provide many examples of what not to do in a query letter! Through links on Twitter, I have found several blogs that are super helpful for those trying to break into the published author sphere. By reading some of these little gems, you are getting a free course in creative writing. I can’t even begin to express how much useful information I’ve learned from reading blogs. Twitter is the place to be for those in the writing community. It’s a big spider’s web, so find a few Lit. Agents that you think you may like to work with someday and start following them. It won’t take long to discover a network of wonderful people. Those are only a few of many. Do you have a good blog or website that is a go to for new information? 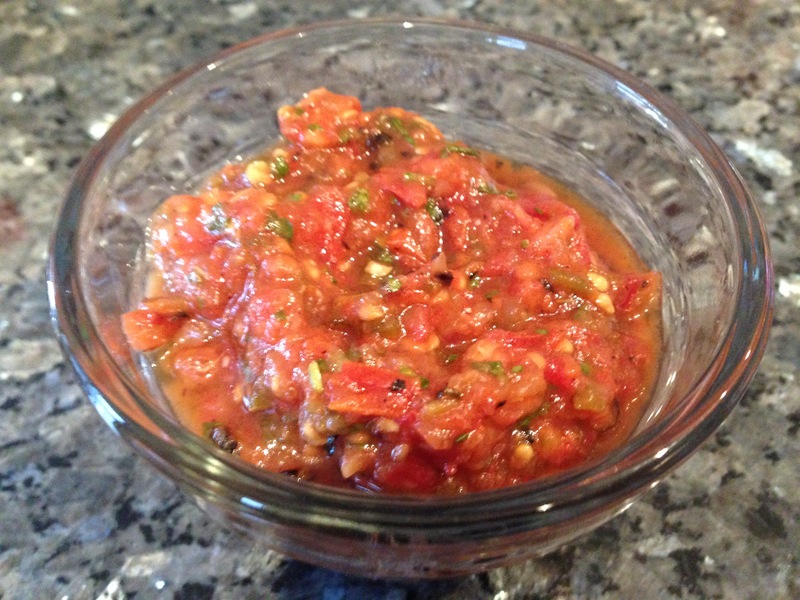 This week, I’m sharing a new recipe…Fire Roasted Salsa…enjoy! 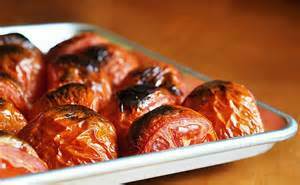 Line a baking sheet with aluminum foil, drizzle 2 tsp. olive oil over the foil. Lay down cherry tomatoes, onion, garlic cloves, and jalapenos. 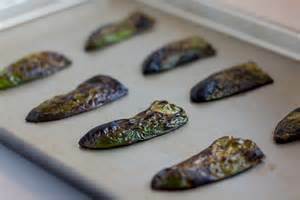 Broil vegetables, setting the pan about 3-4 inches from the heating element, until charred. Remove charred vegetable and their juice into a food processor. Add lime juice, pinch of oregano, cumin, salt and pepper, and cilantro. Blend and eat!